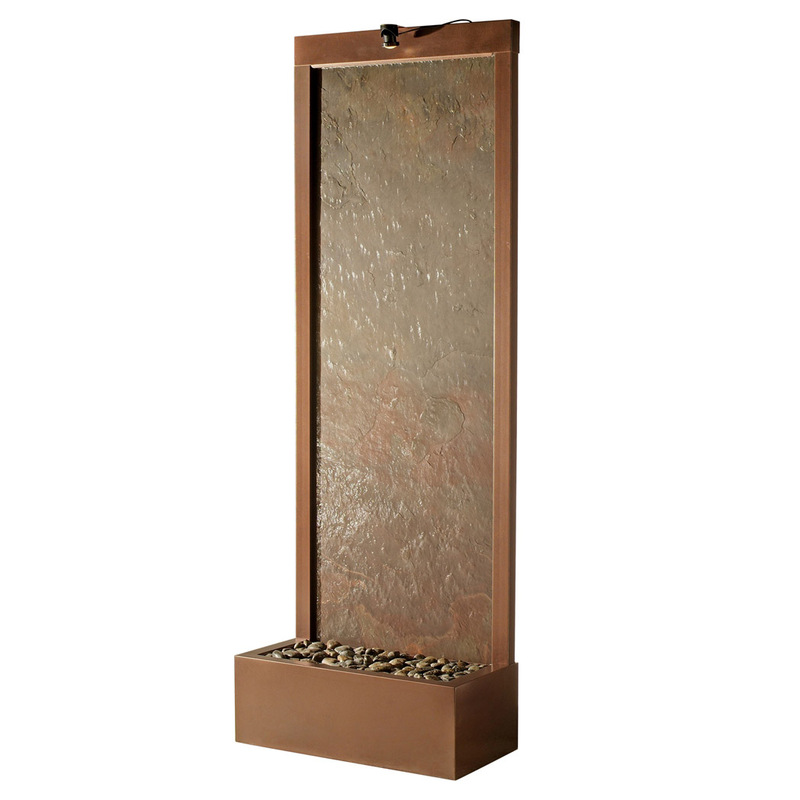 Water fountain walls are designed to make a statement in any setting. 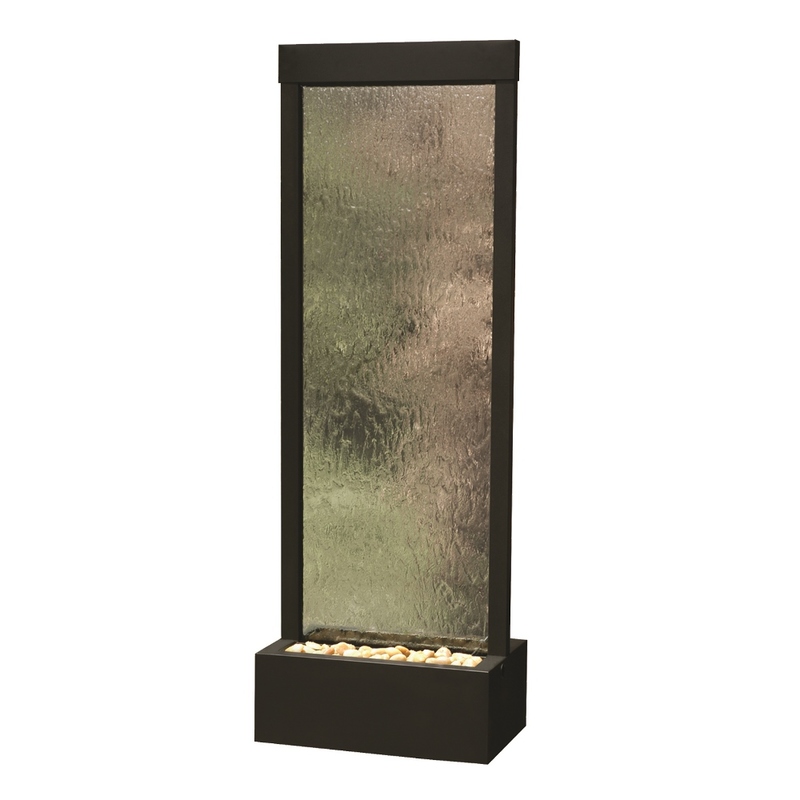 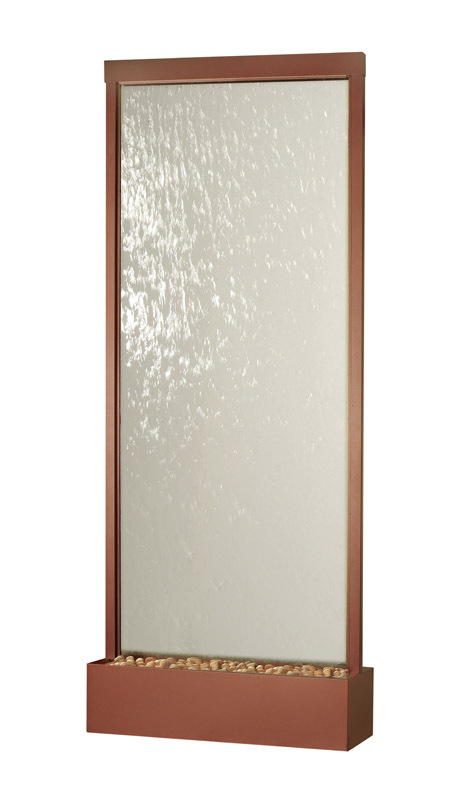 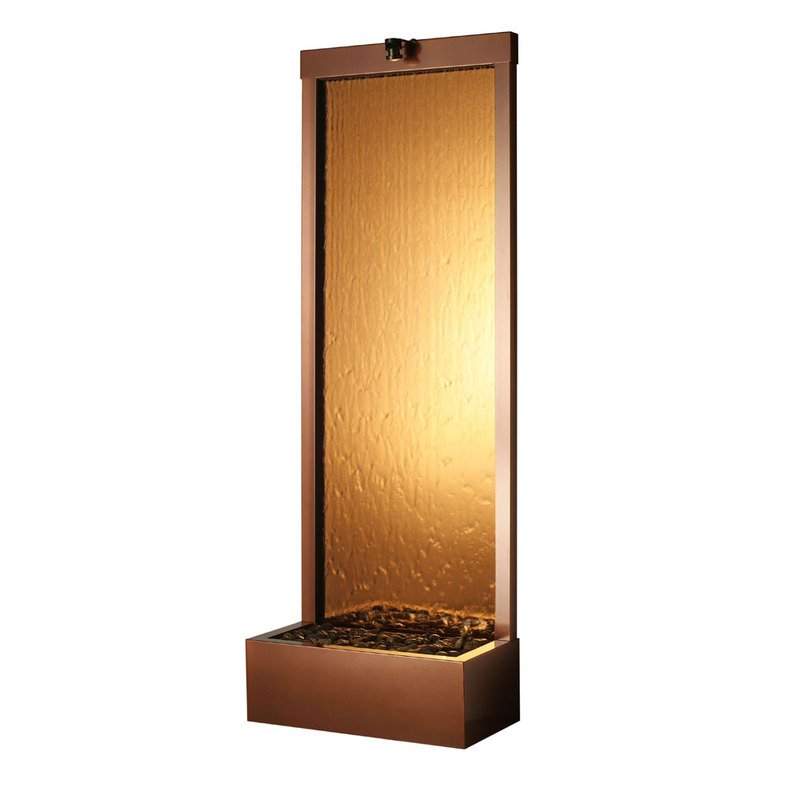 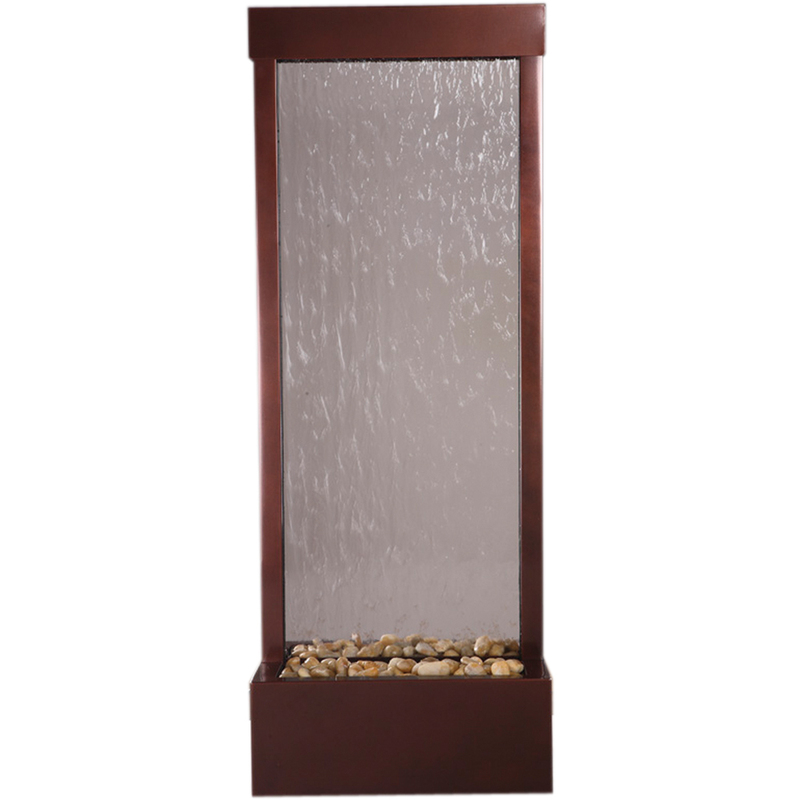 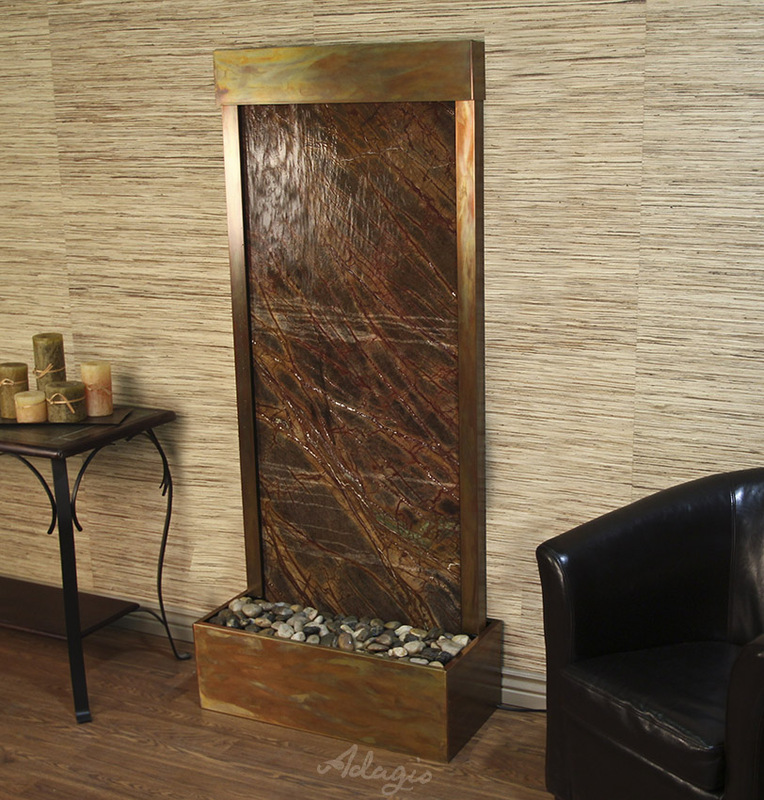 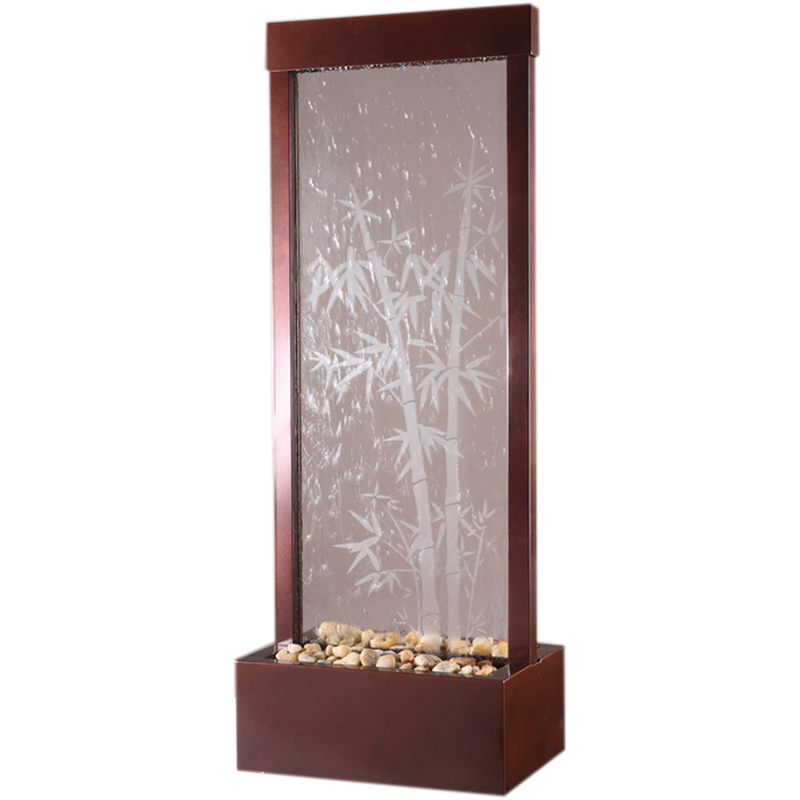 Available in a variety of materials—including bronze, stainless steel, marble, slate, copper, and more—and in sizes up to 9-plus feet tall, our water walls deliver eye-catching style along with the soothing sounds of falling water. 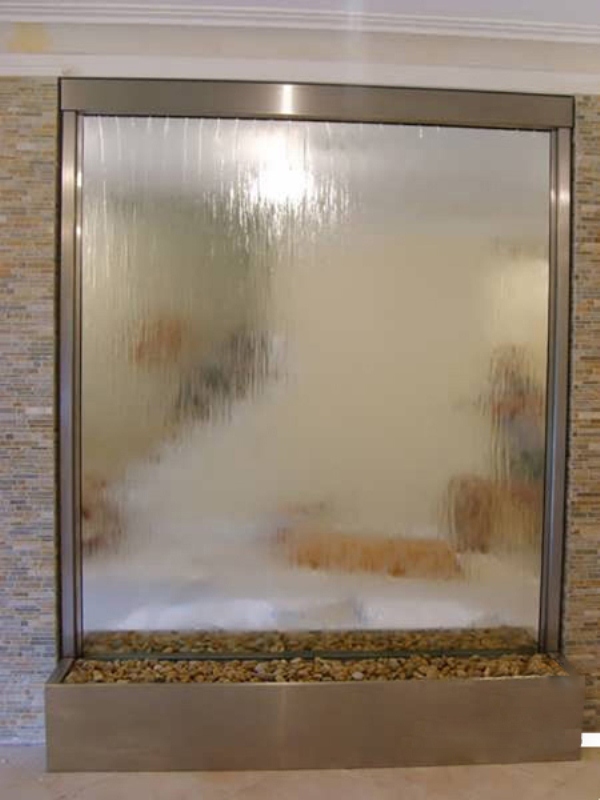 No matter what the layout of your home, office, or business, we have the right water wall for your space. 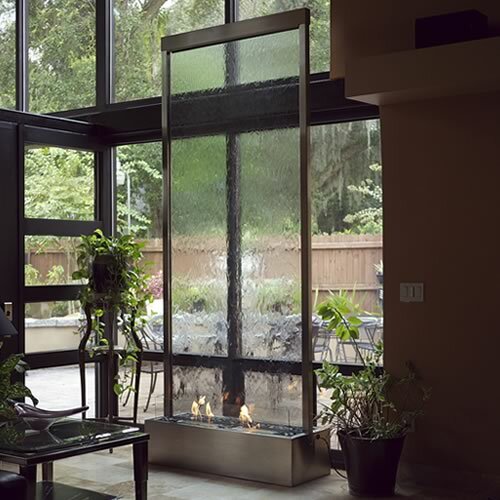 We offer flush-mount, one-sided waterfall walls that line up flat with the wall, as well as free-standing, two-sided models that provide multiple viewing angles and can function as room dividers.